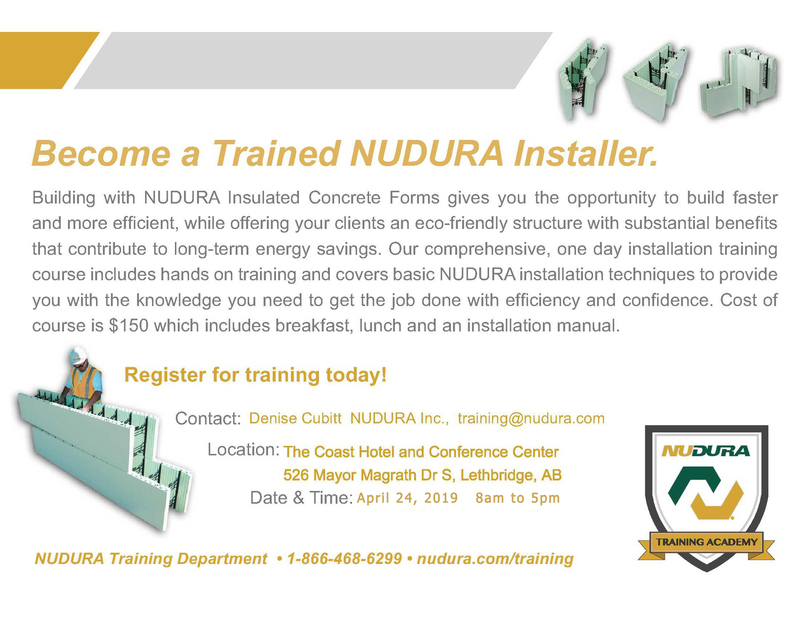 Insulated concrete forms from Nudura® are available at Delcan Building Materials Ltd. Using these products on your next project can save you time, money, and frustration by making it easier to build. There's no measuring or cutting in many cases, as the forms are already made to meet the needs of most projects. Design professionals, architects, homeowners, and contractors all trust these efficient materials to build an insulated structure quickly. Building with concrete forms allows you to quickly build homes and commercial buildings that are stronger, more energy efficient, and more comfortable. These buildings also tend to be more environmentally friendly and make a great energy solution for any new structure. The superior energy performance of these buildings is the result of the forms working in conjunction with the thermal mass of solid concrete and provides one of the most energy efficient and airtight wall systems available today. With Nudura®, building has evolved.